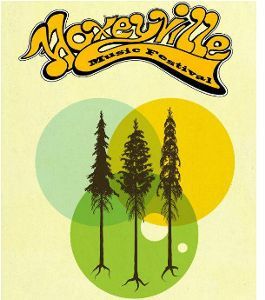 Made in Michigan and celebrating their 10th Anniversary August 17-19, the Hoxeyville Music Festival is proud to announce this summer's initial lineup including such diverse acts as 7 Walkers (featuring Grateful Dead original member Bill Kruetzmann), Lindsay Lou & The Flatbellies, Greensky Bluegrass, Fauxgrass, BoomBox, Strange Arrangement, The Macpodz, Seth Bernard & May Erlewine and many many more. Other artists confirmed for this year's event include Rachel Davis, Airborne or Aquatic, The Crane Wives, The Ragbirds, The Twin Cats, Luke Winslow King & The Ragtime Millionaires, Graham Parsons & The Double Phelix Players, Naive Melodies, Garrett Borns and many more artists yet to be announced. Nestled in the heart of Northwest Michigan's Manistee National Forest, Hoxeyville is a testament to pure North Country peace as well as a good ol' down home hootenanny. Bringing together some of the most talented artists in Michigan and beyond, the 10th annual Hoxeyville promises to be one for the record books. Though often overused, supergroup is the only way to describe "swampadelic rockers" 7 Walkers. The new band features former Grateful Dead drummer, Bill Kreutzmann along with renowned guitarist / vocalist Papa Mali, legendary New Orleans bassist George Porter Jr. and multi-instrumentalist Matt Hubbard. The group's lyrics are provided by longtime Grateful Dead lyricist and Jerry Garcia collaborator, Robert Hunter. Kalamazoo's own Greensky Bluegrass have been gaining national attention after releasing their most recent album, Handguns and continuously touring the country performing to sold out crowds. As their name might suggest, Greensky Bluegrass utilizes traditional bluegrass instruments, as the music that they make with them is anything but conventional considering Rolling Stone noted Greensky "is representing the genre for a whole new generation." Northern Michigan's own Seth Bernard & May Erlewine have carved a unique niche as conscious, soul-stirring songsters. Their truth-telling and inspiring songs have garnered them a huge following across Michigan and nationwide as they tour behind the release of their latest CD New Flower, a dozen songs deeply influenced by their cross-global trek to Ethiopia. Keeping with its founders' original intent, the Hoxeyville Music Festival offers attendees an intimate musical experience among natural wooded beauty featuring the privacy of its spacious 20' x 30' wooded campsites and a fan-friendly attendance capacity of 5000. The festival's 85-acre campground are vast and offer enough room for everyone to camp and live just a short walk to the concert grounds. Hoxeyville is offering a limited amount of Early Bird tickets available now at $125 via www.hoxeyville.com. Each festival ticket includes music and camping for the entire weekend and once this quantity is gone, the price moves up to $140.